It used to be that the television only sat in your living room. Chances are that it still does. The difference now is that you no longer just have a television because you also probably own a smartphone, laptop, tablet computer, desktop computer, and an MP3 player. Since you own all of these devices, there is a good chance that you will probably use them while you watch television. So there you have it, this is the birth of the second screen. The first screen is the television that you watch and the second screen is the computer or cell phone that you use to engage with other people while you watch. The new reality is that if people aren’t talking about a show online, then they’re probably not talking about it offline either. Twitter is the medium of choice because its fast paced environment lends itself better to television. The main advantage of Twitter for television, specifically, is that it allows television producers and advertisers to get instantaneous feedback about their programming. People will often tweet in real-time during the show about what has already happened or even about what they think is going to happen. Producers and media companies then know what people liked and disliked about the show within minutes rather than waiting hours and days to write about it. Second, Twitter is conversational and more open to active debates, especially while a show is actually airing live. As a matter of fact, a recent Nielsen’s study reported that 33% of all users on Twitter tweeted about television shows during the month June earlier this year. In short, television shows cannot afford to ignore Twitter. Here, we’ll look at 5 popular TV shows that are really leveraging the power of Twitter to engage and grow their audiences. Besides being the most tweeted about show of all time, Pretty Little Liars also has a very active presence on Twitter in other ways. First of all, many of the actors and producers of the show are active on Twitter and they tend to be very responsive toward their fans. Because they have made their personal web presences a priority, there is also a web series that was created based on the show. At the helm is a dedicated social media manager that coaches them to success. They often provide sneak peaks, snap shots, behind the scenes photos, and clips to keep fans salivating. 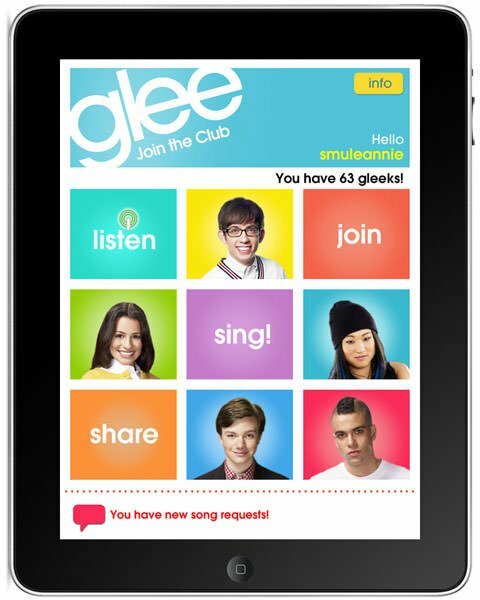 Glee is another shining example of social media done in the right way. Gleeks swoon when the actors tweet in real time during the show. Moreover, Fox, their parent network, actually has an iPad app just to provide viewers with digital content and keep them engaged with the news about their shows via social media for all of their prime time shows. The WWE has a few different Twitter accounts and the wrestlers also have accounts. They use hashtags for wrestlers when they enter the stage and they often build up a lot of tension through voting on Twitter as well as the other social media sites about who will win the next match. Fans love to keep up with all of the twists and turns as they watch live from the venue or even from home while they use the WWE iPad/iPhone app. YouTube is another important aspect of their campaign as they have thousands of videos and 12 network channels. American Idol is a very social television show by nature because it beckons viewers to call in or text their votes for different artists. All of the judges are active on Twitter and as well as most of the contestants. The last season of the show generated roughly 5.9 million comments online, which is significantly higher than its counterpart, The Voice, which had 2.6 million comments. Bones is another Fox show that has a really tight knit online community. The show’s Twitter account is very interactive – they always tweet live during episodes and they encourage fans to do so as well. The actors are active on Twitter and they will even bring writers to the Twitter table to delve into the discussion. Moderators offer tons of freebies from the official account, and fans know that if they ask a question or leave a comment, they will probably get a quick reply. There is also a mobile app just for the show. An article from Social Media Chimps mentions that “online conversations related to TV shows peak during the middle of the week, with fans most active leading up to the season finale.” This leads us to believe that instead of providing all the information up front, perhaps having a suspense-filled event of your own would be effective. For you it might not be a “season finale,” but why not have a live webinar, contest, or some other type of unique content that you can promote to your fans? As your roll out these special events, be sure to measure your results using hashtag tracking, Google Analytics, and sentiment reports. Ashley Bennett is a marketing strategist with a specialty in web content. Visit her website for marketing tips and to hire her for your marketing or web content needs.